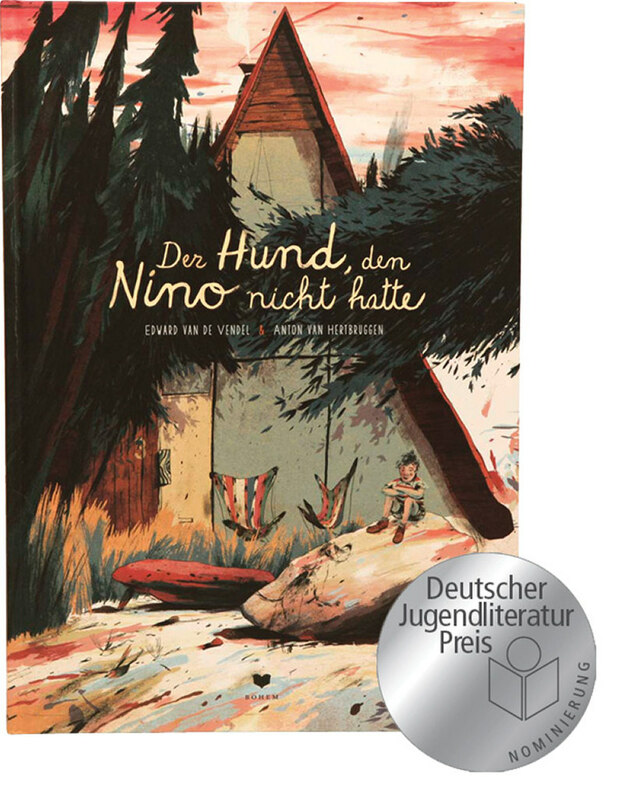 Delightful news: the German version of the picturebook that illustrator Anton Van Hertbruggen and I made, THE DOG THAT NINO DIDN'T HAVE, is nominated for the German Literature Award. This Award nominates six books in every category: picture book, children's book, books for youth and non-fiction. The nominations were announced at the Leipzig Book Fair and the winners will be announced in October, at the Frankfurt Book Fair. DER HUND DEN NINO NICHT HATTE (original title: HET HONDJE DAT NINO NIET HAD) was published by Bohem Press, in Germany, and translated by Rolf Erdorf. The book was originally published by De Eenhoorn, that also sells the rights. Rights were sold for the English, the French, the Chinese, the Brazilian Portuguese, the Korean and the Danish versions. The book and the illustrator already got awards in Belgium, the Netherlands, France and the United States. Last year LENA UND DAS GEHEIMNIS DER BLAUEN HIRSCHE, (THIRTEEN RUNNING DEER) by Mattias De Leeuw and me (also translated by Rolf Erdorf) was nominated for the German Literature Award. More about the nominees of this year can be read here.